It’s a Bluetooth speaker but not “just another Bluetooth speaker”, the way Creative describes the iRoar Intelligent Portable Bluetooth Speaker System. That mouthful of a product name looks to be a fit to the wide feature set the device has been released with. 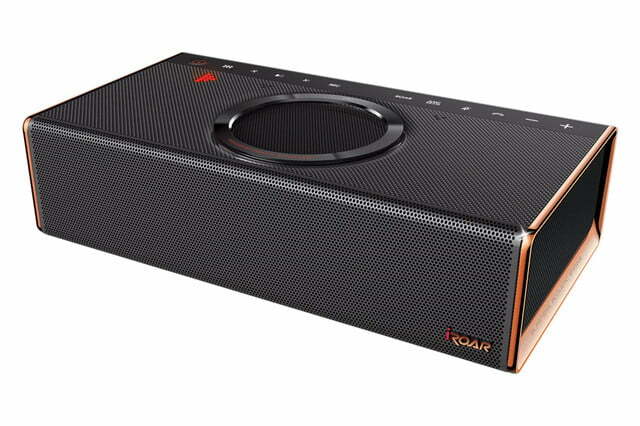 Naturally a speaker first, the iRoar is designed to be customizable to fit a variety of audio tastes. It’s also highly customizable and meant to be a foundation for further integration and expansion. 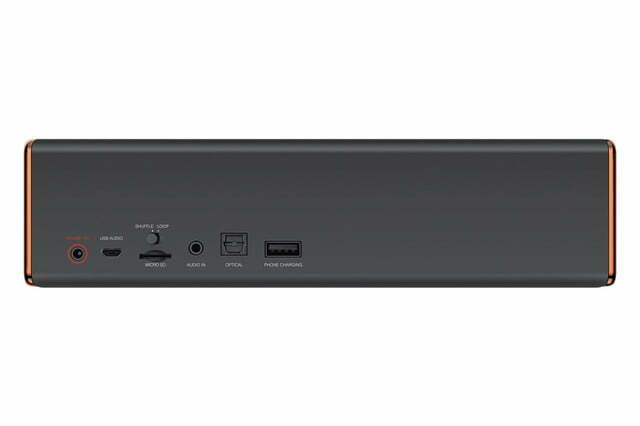 This will include software add-ons and hardware extras using the iRoar’s Docking Expansion Port. In theory, this allows developers and other manufacturers to build on top of what’s already there or create their own solutions. We’re not clear on how this will work yet, and will be sure to find out more during CES. 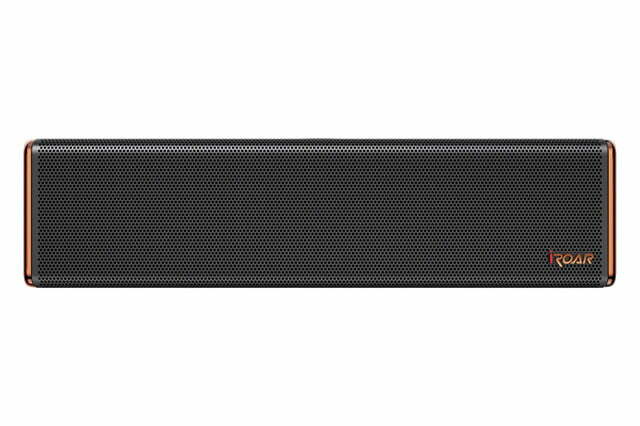 There are five speaker drivers inside, made up of dual lightweight high-frequency 2-inch drivers, two passive radiators pushing out the sides, and a 2.75-inch subwoofer that pushes the bass up. The two amplifiers are also separated to balance the audio spectrum so that one drives the mids and lows while the other handles the highs. 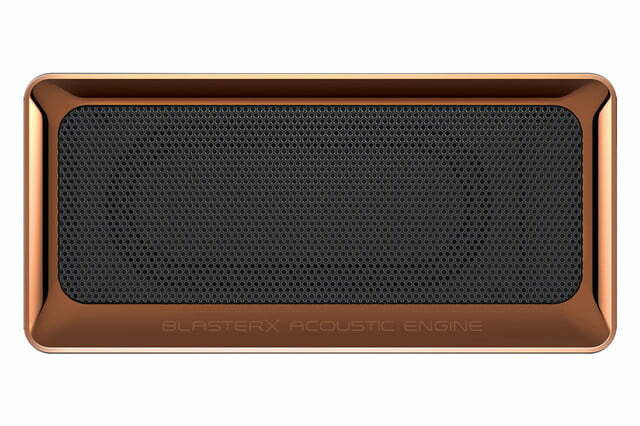 The speaker’s “intelligence” comes from the SB-Axx1 processor, which enables it to sound different through various profiles and custom presets. It also enables the iRoar to work as a high-end sound card to pump out cleaner and clearer audio for gaming, music, and movies. 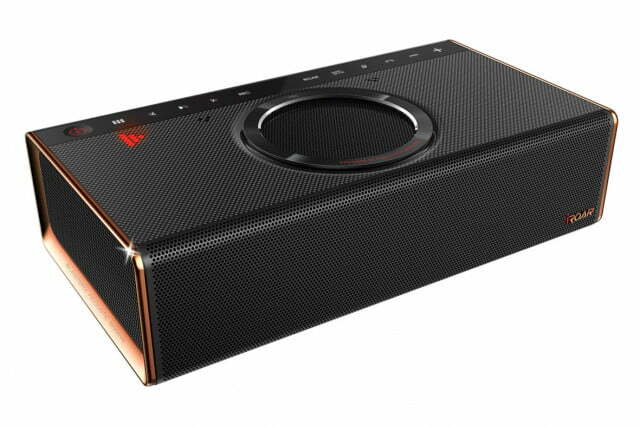 To add some perspective, Creative claims the iRoar has twice the power of the original Sound Blaster Roar “like two Roars in one”, according to Creative CEO Sim Wong Hoo. 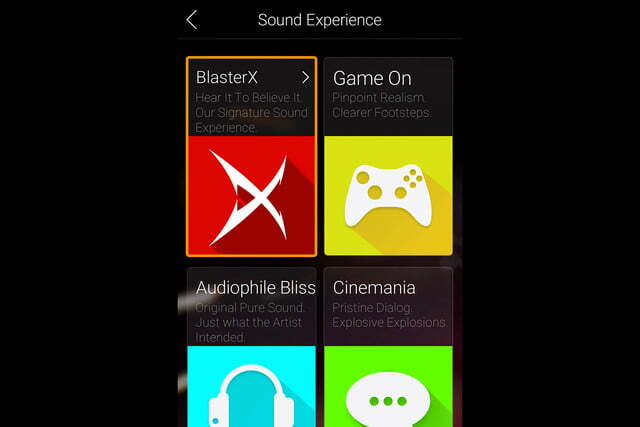 As has been the case with the Sound Blaster Roar speakers, Creative has also developed iOS and Android apps called the iRoar Dashboard. This suite of apps gives users remote control of the iRoar, adjusting settings like the EQ, audio processing, microphone, and voice controls. There is also Smart Volume to automatically adjust levels in cases where there is an abrupt shift in resonance. 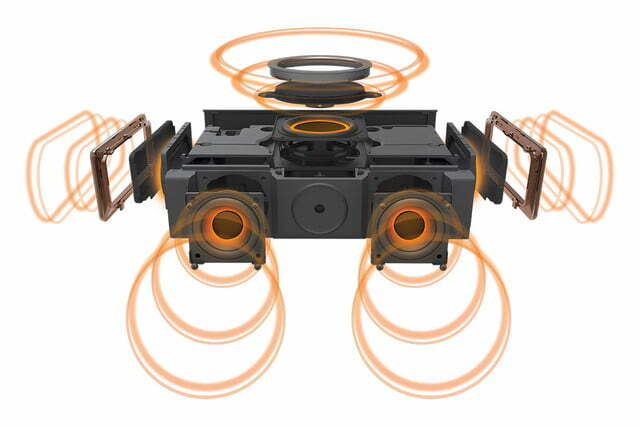 The speaker can act as a speakerphone, and features voice morphing as an option. Preset profiles are already baked in to get things started and cater to different tastes. These are reportedly customizable, too. Aside from the context-sensitive touch controls on top, the iRoar’s connectivity lineup includes NFC, Bluetooth with Multipoint and HD audio codec support, USB audio, optical input, and a microSD slot. There is also an audio recorder though it’s not yet clear what bitrate it will record from. 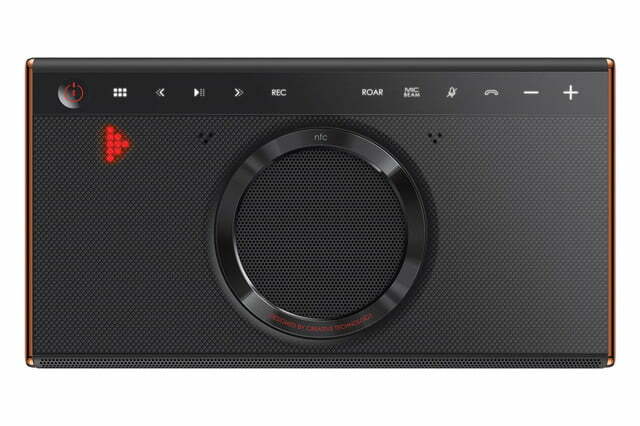 The battery inside also has the ability to charge smartphones and tablets, much like the Sound Blaster models. Battery life for the iRoar is rated at 20 hours, but this will almost certainly be lower if the speaker is playing at louder volumes. The iRoar is launching during CES 2016 on the company website at a price point of $370.